Patterns on bark; patterns on skin. 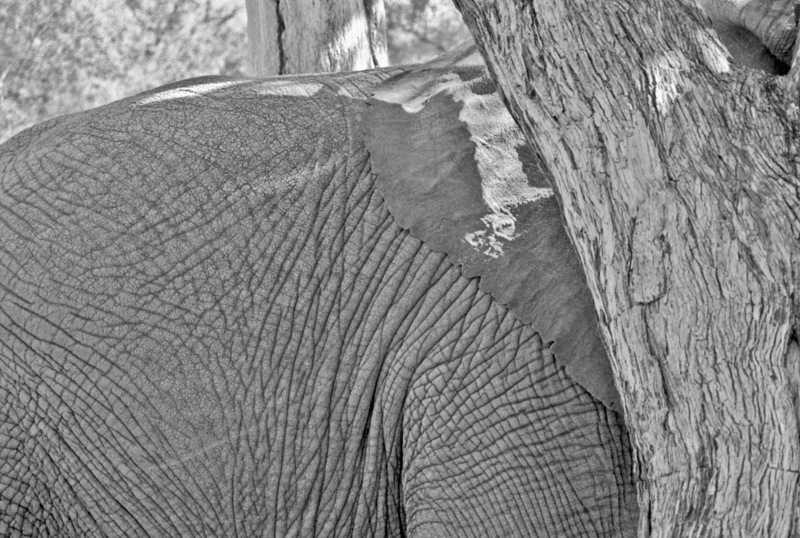 Amazing textures between the elephant and the tree. A lovely contrast!